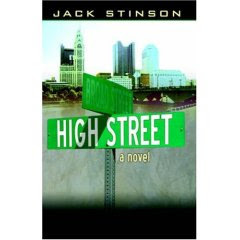 Jamie Boyer sits in a stark homeless shelter in one of the seedier areas just off of High Street, certain that he has messed up his life forever. The young man had left his home on the farm just six months earlier for college in the big city. After falling in with the wrong crowd and getting mixed up with alcohol and drugs, his life is shattered. From his occasional church visits while growing up, Jamie knows that he is running from God. Can Jamie work his way out of his problems alone - and will anything really be different if he gets back to the college bars on High Street? Fifteen men with no home in normal society sat throughout the room. They wore torn, filthy jeans and dress pants with the grime of many months ground in, never to be clean again. There were tee-shirts permanently stained with sweat, and moldy flannel button-ups that could have just been pulled from the bottom of a heap in an attic corner. Jamie gripped the metal chair and clenched his toes in his tennis shoes. This can’t be happening. Please God, this can’t really be happening. The terror and confusion of being alone on the street, stoned and afraid of being arrested, had kept him awake most of the night. Now a dull feeling of dread was settling around him. I can’t call Dad. What would he say? For anyone involved in homeless ministry, High Street will ring true. And it will likely provide some challenging talking points with your fellow ministers or even the people you serve. For those who simply want to read a Christian novel that tackles real-life issues like drug addiction and homelessness, but without the "pollyanna" answers that so many religious tracts posing as novels proffer, then this book is a good place to start. It's not a long book (218 pages), however the first half of the story moves a bit slow - there's a lot of description of life on the streets and in the shelters. This makes the story believable and is especially helpful for those of us with limited exposure to downtown ministries and the sub-culture they serve. It's obvious that Jack knows his subject. As for the plot, the first part of the book did a nice job setting up the despair and cataloging the emotions of the family back home and of Jamie's steady and irrevocable slide down. I would have liked more action near the beginning, however. Since it is a novel, I wanted to be gripped by a tale instead of having to simply read about hopelessness. Once the despair is established (and Stinson is a competent writer, so it's easy to get emotionally involved in the characters) the last third of the book zings with action, suspense, and a bit of mystery. The story line develops nicely and you may think it's taking you a certain inevitable direction. My suggestion is to try and formulate the outcome on your own and then stand back as the author concludes the story in, what was for me, an unexpected manner. In fact, I'm still not sure if I liked the ending! That is, it was disturbing and I didn't want to be disturbed. There was some resolution, but it was not a nicely wrapped up solution - and that's okay. It obviously reflects the facts of life on the street, and I appreciate Stinson's realism. Jack's writing style is easy to follow - sentence structure, paragraphing, grammar, etc. are all solid and professional. A few typos, maybe 3 or 4, but that's not bad for a self-published piece - I see that many in regular imprints. The pacing and story arc could be a bit more engaging, but over all a nicely done piece of fiction. Recommended reading for those interested in these type of themes. I'm a member of the Christian Fiction Review Blog (CFRB) and received this book free from the author. My philosophy is that if I volunteer to review a book and get a complimentary copy for my efforts, then I'm going to review it honestly, but with an eye to help promote good projects. I like and support self-publishing, POD, and small press efforts. I must admit I don't read that many books :-( but reading your reviews makes me want to. Thanks for the inspiration to his one!